Mark your calendar! The date for 8th annual Sunshine Coast Fashion Festival has just been announced as Saturday 17th October 2015, at the beautiful Palmer Coolum Resort, Coolum. This fashion spectacular hosts local, national and international design talent as they showcase their stunning collections on the catwalk. The Sunshine Coast Fashion Festival is a glittering, glamorous evening and a must see for anyone into style. Since its inception in 2008 the Sunshine Coast Fashion Festival has grown from a boutique regional showcase, into one of the most prestigious events in the Australian Fashion Calendar. The festival is widely recognized on both the national and international circuits for showcasing its seamless expression of taste in fashion. The catwalk shows attract not only talented local and up and coming designers, but industry leaders, media, buyers and a host of international design talent. Previous designers have included Richard de Chazal, Lorna Jane, Ali Charisma, Elizabeth de Varga, Hive, SUBvert, Sunflair, OPERA and Embellished Kaftans. Positioned at the end of the global fashion week circuit, the Sunshine Coast Fashion Festival is becoming the final and welcome destination for the fashion industry on its annual pilgrimage of concrete jungles. The events growth over the last few years, is fast promoting the coast as a must visit, fashion destination. The event attracts fashionsta’s and journalists from the coast, Brisbane, across Australia and internationally, and sells out every year. The line up for 2015 is shaping up to be the most impressive to date with a multitude of designers from couture, eveningwear, and ethical design and of course it wouldn’t be the Sunshine Coast without swimwear. Some heavyweight designers have already signed up and with the fashion showrooms directly after the shows, guests can buy designs direct from the catwalk. ‘We are very excited to announce the date for the 8th Sunshine Coast Fashion Festival for 2015. The event will celebrate fashion and showcase to the public and the industry what these amazing and gifted designers have to offer for summer 2016. It is wonderful that we again have the support of Palmer Coolum Resort. The venue reflects the prestige and luxury synonymous with the stunning creations that are showcased on the catwalk,’ said Jacinta Richmond the SCFF Founder and Director. 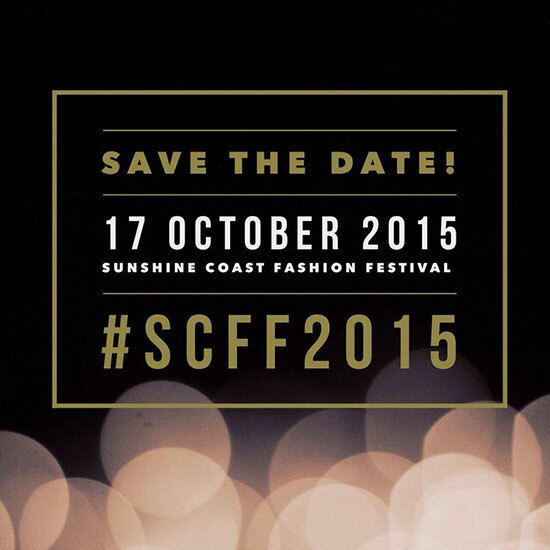 The Sunshine Coast Fashion Festival will be held on Saturday 17th October 2015 at Palmer Coolum Resort Coolum. Combined fashion and stay packages are available as well as general admission tickets on the website. Sign up on the website for the latest news and ticket specials. So why not surprise your fashionista with a decadent weekend away and experience everything the Sunshine Coast has to offer, at the Palmer Coolum Resort.